Don’t forget to see the spaceship next time you go to Pune. 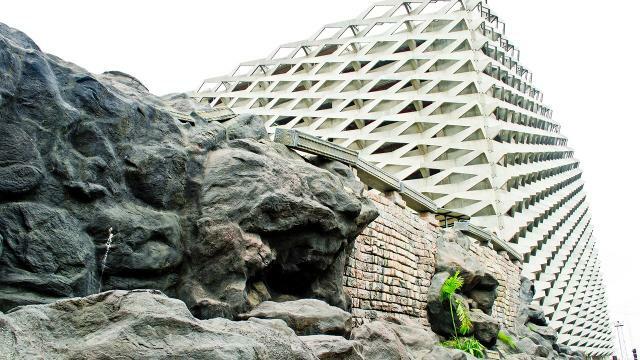 You can find it in Hinjewadi IT Park and Infoscions work inside it. 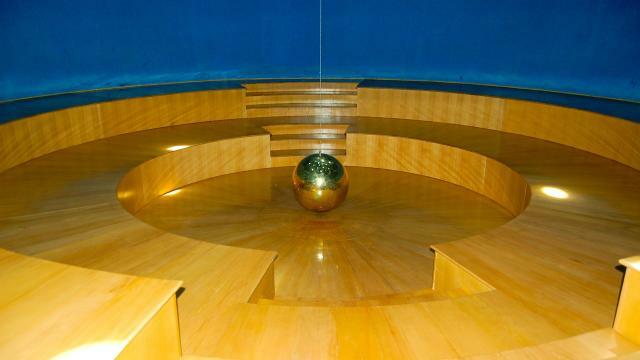 That’s right, Infosys Pune has an outstanding building that looks like a descending spacecraft and has become a must tourist spot in ‘Pune Darshan’. 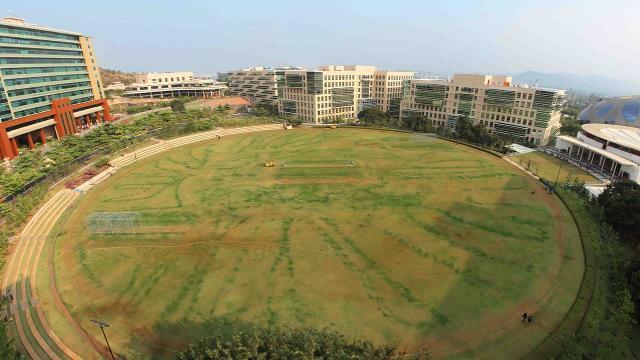 There around 35,00 employees working in Infosys Pune. 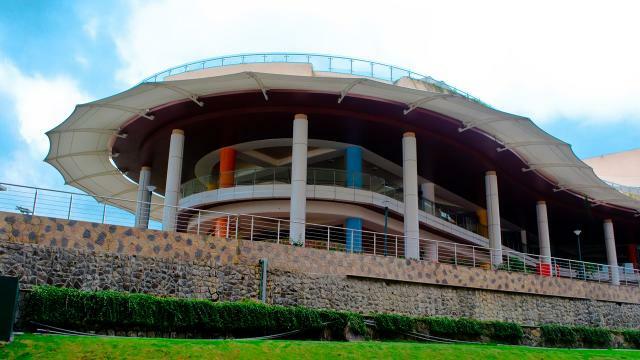 This show-stealer spaceship is Infosys Pune’s software development building and can well be termed as a crucial symbol of IT growth in Maharashtra. 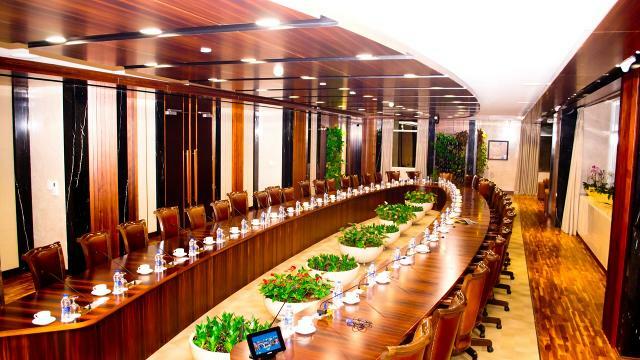 The board room looks like straight from an upscale interior magazine and perfect for conducting state-of-the-art meetings. Be a Punekar when working in Pune. This decor is perfect for reflecting educational heritage of ‘Oxford of the East’ and perfect for indulge in chitchat. 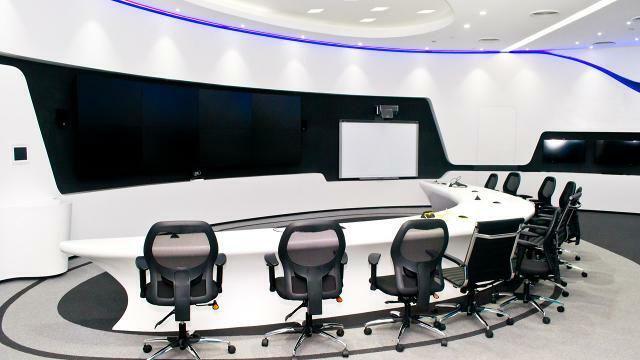 This is where Infoscions showcase innovating ideas and solutions to its customers. 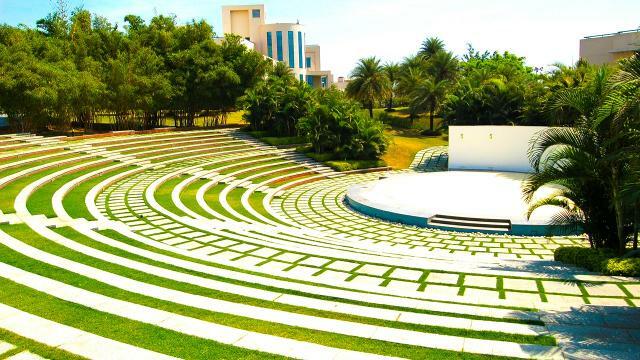 This grand Amphitheatre, surrounded by ample of greenery, is a perfect place to host award and cultural shows. 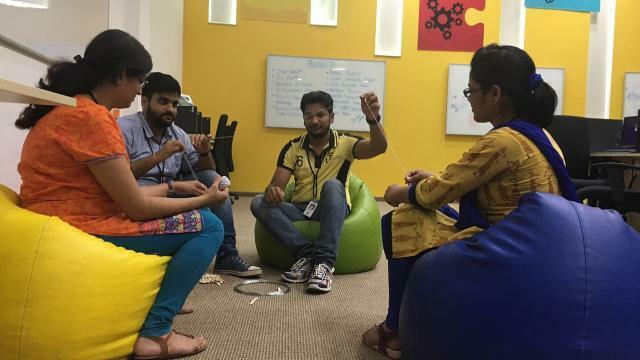 Those who work out of the box and seek collaborative efforts need a thinking lab and this place provides just that, with all necessary amenities. After a long day of coding and business talks one would need a place to rejuvenate. Hence, the meditation room. 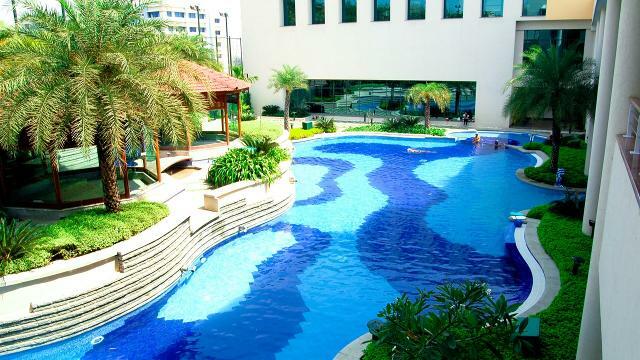 Who wouldn’t want to take a dip in this 5 star look alike swimming pool for leisure or exercise? 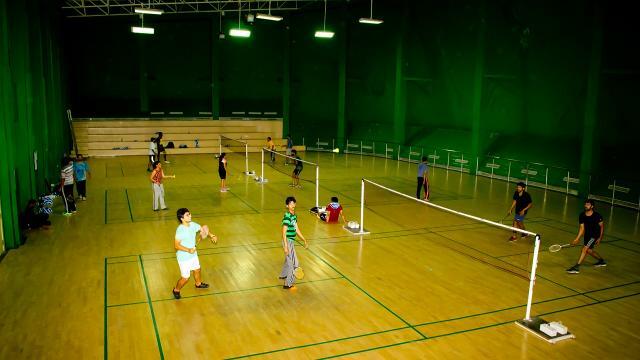 This wooden court, with necessary facilities, is the place where Infoscions go to play, practice and stay fit. 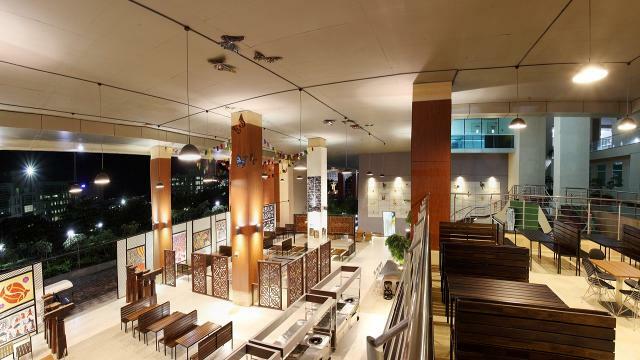 This lavish building has seven food courts and over 80 vendors selling delicious food with variety of options to choose from. 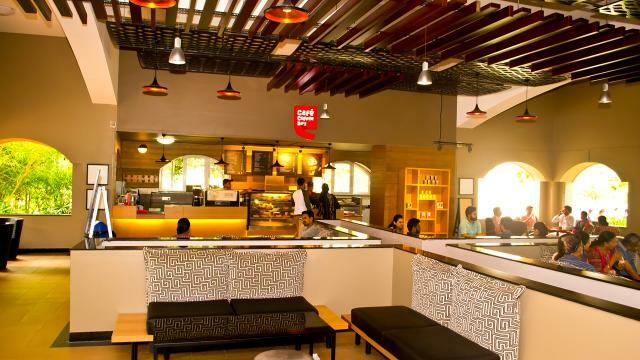 This spectacular Cafe Coffee Day outlet is a perfect place to have coffee break and relax. 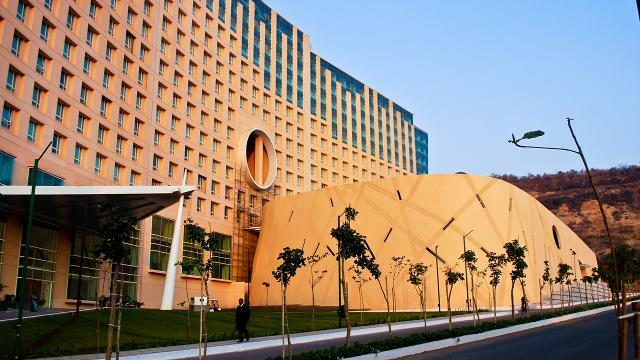 This employee care centre can accommodate 1000 guests at a time and offers facilities like gym, steam rooms, salon, indoor sports, laundry and an in-house restaurant name ‘The Pavillion’. This 10-storey Multi-level Car Park is built on ‘Cambodia’ theme with waterfalls and offers a charming walkway. 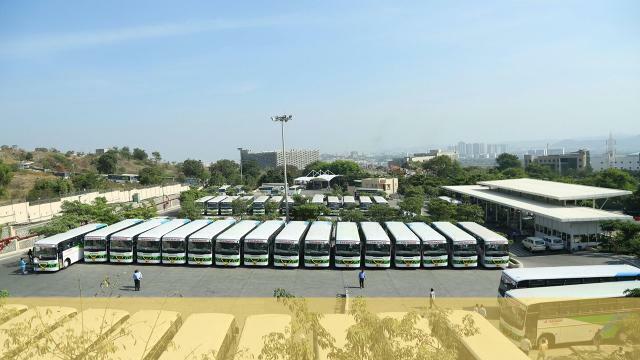 The bus bay offers more than 120 buses for employees. 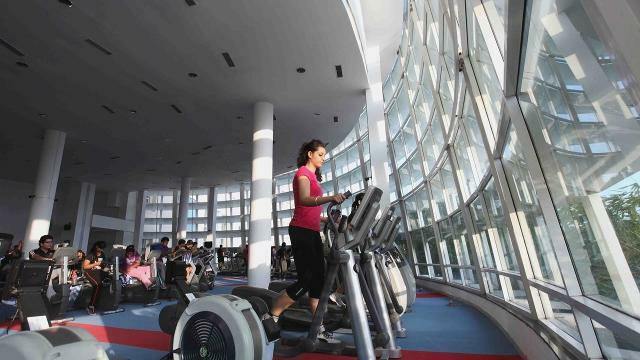 For the health-conscious employees, this world-class gym is there on Infosys Pune campus, with trained staff. 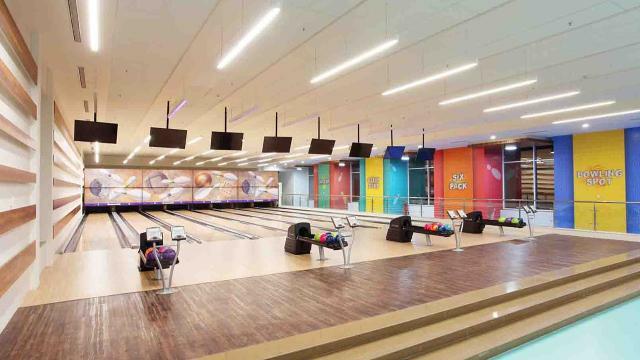 This bowling alley is sure to add fun to everyday work and a great place to challenge your team leads! This cricket stadium looks no less than an international playground. 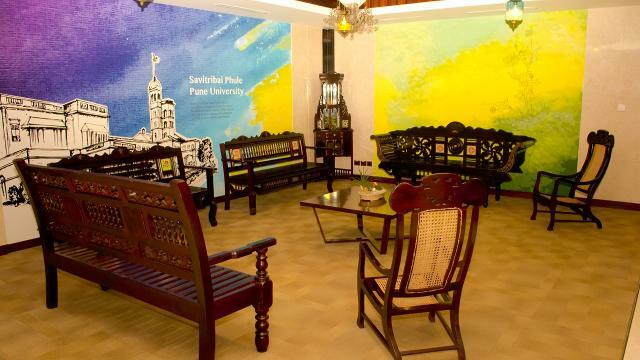 This concept restaurant serves classic ‘street food’ of Maharashtra right at the campus!